Matteo Darmian days at Old Trafford appears to be over after Mourinho told reporters last week that the former Torino defender was free to leave the club. Darmian has struggled during his time at Old Trafford albeit he has been played out of positions most times under Mourinho which has not helped his development. Juventus are believed to be close to signing the player with the Turin club agreeing personal terms with the defender. However Juventus and United are far apart in their valuation of the player. Latest developments from Italy reports that the Italian defender is on the radar of Serie A side Napoli. Napoli’s eccentric president Aurelio De Laurentiis confirmed Azzurri’s interest in the versatile defender. When quizzed about links to Darmian, De Laurentiis revealed to Italian radio Kiss Kiss that Darmian is one of six targets considered by the Naples outfit this summer. Darmian’s exit would not be missed by the Red Devils as many fans are of the belief that the 28-year-old is a step below the level of the club. United have already brought in Portuguese youngster Diogo Dalot as his replacement and backup to club captain Antonio Valencia. Darmian has made it clear that he wants to leave Manchester United this summer and return to Italy in order to play more regular football from next season. He is keen on a move to Juventus and has agreed terms on a contract, but the Italian champions have struggled to come to an agreement with Manchester United over a fee. 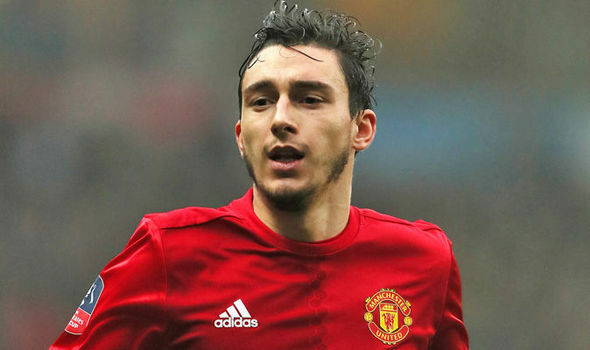 Darmian joined United from Torino in 2015 and has won 3 trophies during his time with the Red Devils.